Cocoa prices have shot up as the president-elect of major cocoa-exporting nation Cote D’Ivoire announced an export ban amid political struggles in the country. Alassane Ouattara, the internationally recognised winner of last November’s presidential election, announced a one-month suspension on exports of cocoa yesterday morning. He said that anyone not adhering to the ban would be considered to be “financing the illegitimate regime” of Laurent Gbagbo, the incumbent Ivory Coast leader. Gbagbo is refusing to leave his office, despite Ouattara being widely accepted the African country’s legitimate leader. Cocoa prices jumped 7.4% this morning in London, reaching GBP2,307 per tonne of cocoa on the back of the announcement. They have since stabilised at GBP2,211, an increase of 2.9% on yesterday’s price. New York ICE second-month cocoa futures jumped more than 4% to a one-year high of US$3,340 a tonne. 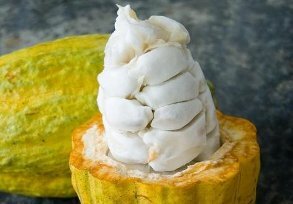 Laurent Pipitone, director of the International Cocoa Organisation’s economics and statistics division, said the ban has already pushed prices up by US$137 in New York and GBP60 in London. “Prices have surged due to Ouattara’s request for the bans,” he said. Pipitone said that cocoa trade “might be affected” but that he could not give a clear view of the situation as he is “still waiting for companies to respond”. In a joint statement, the Federation of Cocoa Commerce and the European Cocoa Association said they are seeking further clarity on the ban but added: “as can be expected in these circumstances, the trade issues involved in this respect are of a highly sensitive nature and will take time to resolve”.